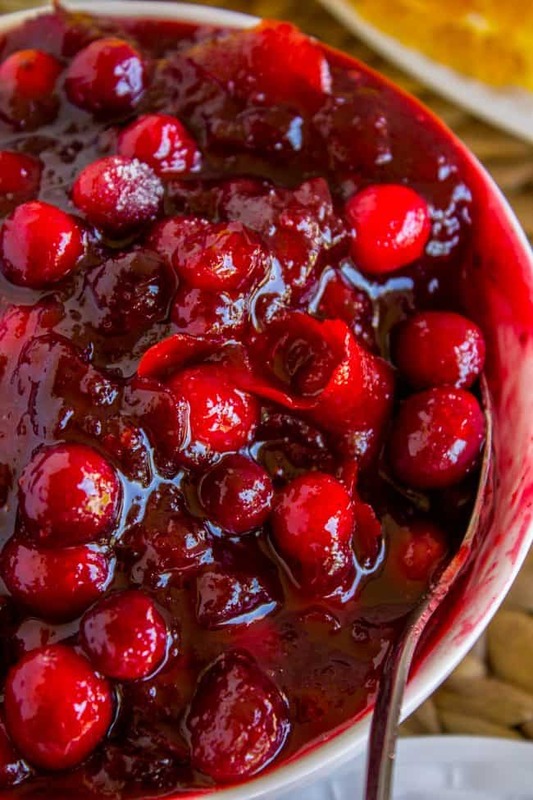 My favorite ever easy homemade cranberry sauce recipe! 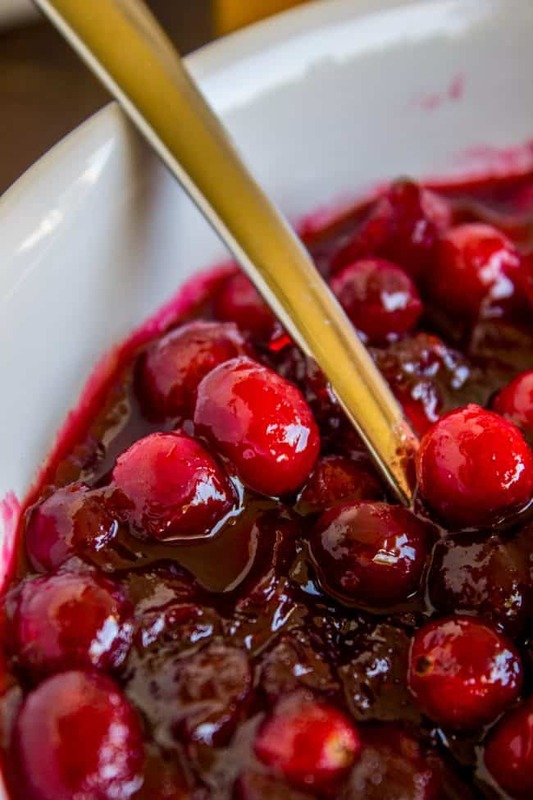 Nothing beats a classic when it comes to cranberry sauce. All you need is a little bit of orange juice and zest, some cranberries and sugar! It is so good when you just keep things simple! Eric just tried to walk me through how to fix our broken garage door on the phone. Needless to say, my car is still trapped in the garage and I am still stuck at home. I did NOT get the fix-it gene. I just know that when he gets home, he will walk into the garage, twiddle something once or twice, screw in something here or there, and the job will be done in 5 minutes flat. Men! How do they just know stuff like this?? I am spending my home bound afternoon curled up with a blanket by the fire, so I suppose I can’t complain too much. I almost feel guilty about having the fire going right now because of all the smoke in our area, but it’s the cheapest way for me to heat my living room. I live in Sacramento, about 80 miles from the fire that took Paradise last week. The smoke is still really bad. The kids have to stay inside at lunch and recess, and Eric’s entire university shut down campus today (he works at UC Davis). The smoke is just annoying though. It’s nothing compared to having your house burned to the ground in 1 day flat. I just keep wandering around my house, wondering what I would take if we ever had to evacuate. (We are not in any danger, fyi). I just can’t stop thinking about all the people who are camped out around the perimeter of what used to be their town, with nothing but the clothes on their backs. It’s really got me thinking about emergency preparedness. We have plans to get 72 hour kits put together this week, make a list of things to take if we do have time before an evacuation, and buying a fire proof box to store all our important papers. Thank goodness so many things are digital these day. My computer and external hard drives are at the top of the list, obviously. I don’t even think taking photos off the walls makes my list, because you could always just have them printed again if you have the digital copy. I’m glad that Thanksgiving is next week. Thanksgiving has always been one of my favorite holidays, because everyone can celebrate it, no matter who you are or what you believe in. Everybody has something to be grateful for. 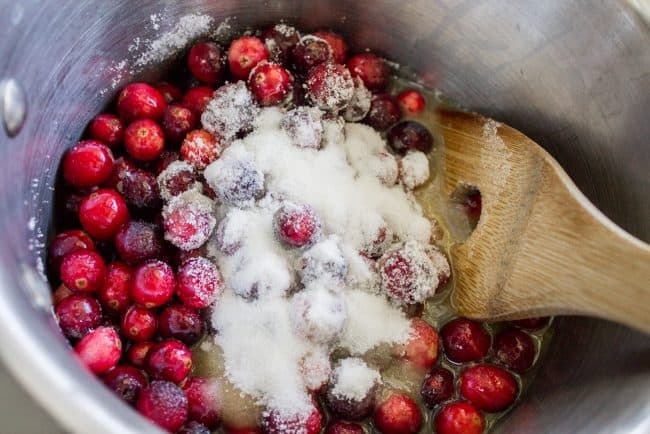 Speaking of Thanksgiving, do you have a favorite cranberry sauce recipe? It is unbelievably simple to make. You just boil fresh cranberries in a little bit of liquid (water, orange juice, apple cider, whatever you like) and simmer until the cranberries pop. 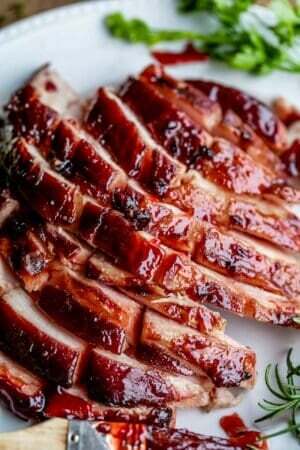 I love to use orange juice and big strips of fresh orange peel in my cranberry sauce. Cranberry and orange are literally a match made in heaven. You can either use fresh-squeezed orange juice or buy a carton at the store. Either way will work great. And then add in some sugar! Simple as that. You can adjust the sugar level to your preference. And viola! 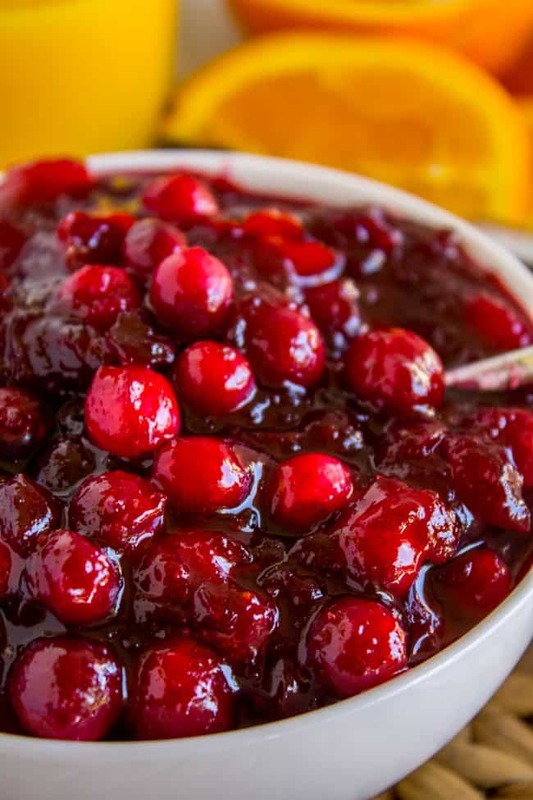 The nice thing about this cranberry sauce recipe (and pretty much any cranberry sauce recipe) is that it is 100% make-ahead-able. 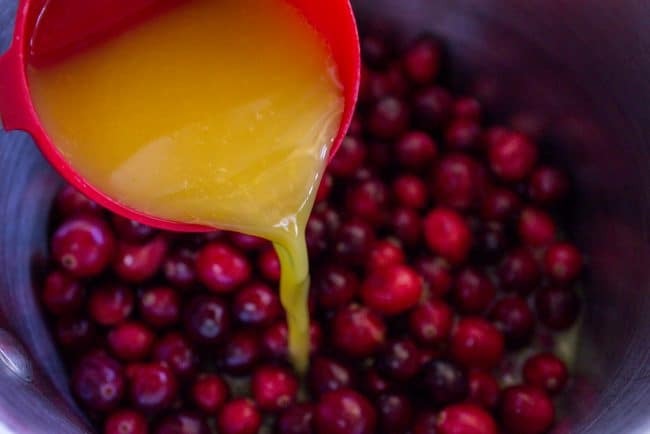 Whether you like you cranberry sauce warm or chilled, it can be made a week (or even more) ahead of Thanksgiving. In fact it will taste even better because the flavors will have time to marry in the fridge. I love it when flavors decided to get married, don’t you? Once the cranberry sauce is done, you can remove the orange peels if you like. I actually love to leave them in! They get this candied flavor that I just love. Such a great compliment for turkey! 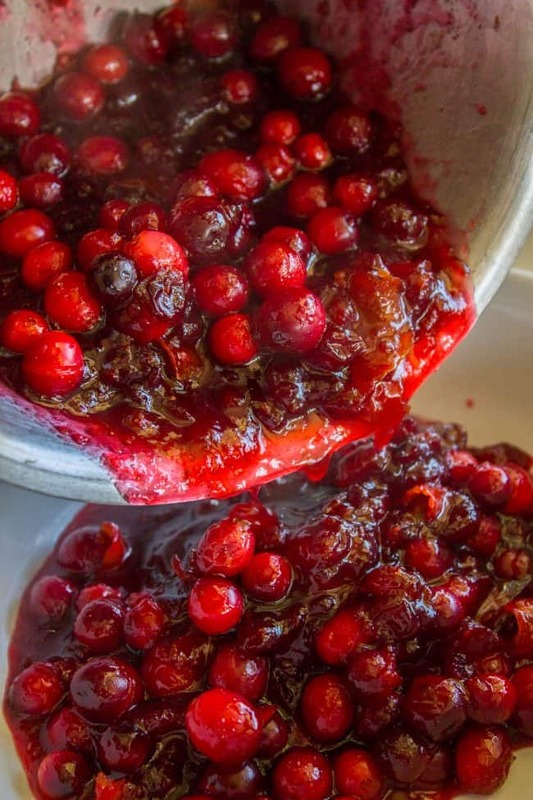 A cranberry sauce recipe is pretty much a necessary item on your Thanksgiving table, right? I’m squeezing in a few more recipe for your table over the next week (Pumpkin Roll, anyone?? ), so stay tuned! One year ago: Cranberry Cherry Pie with Almond Glaze << this pie is SO good! 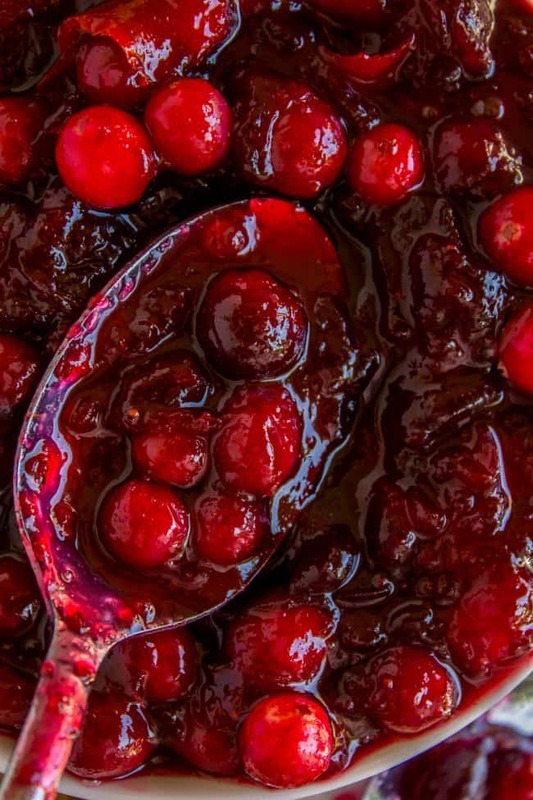 My favorite cranberry sauce recipe ever! 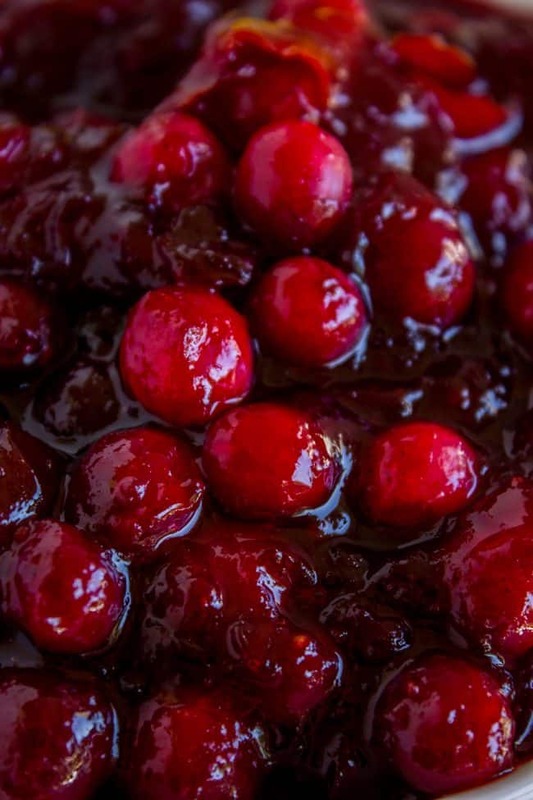 Nothing beats a classic when it comes to cranberry sauce. 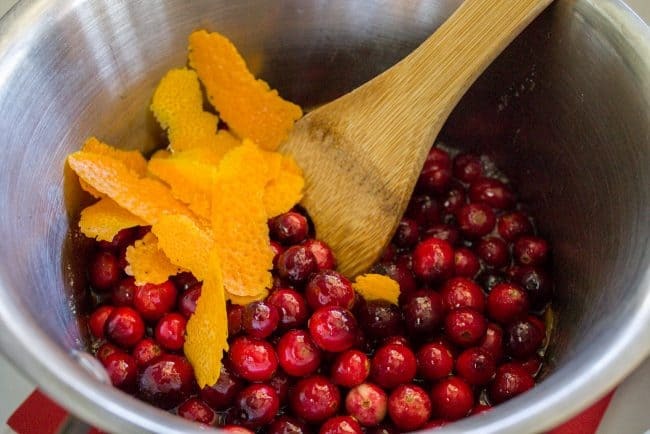 All you need is a little bit of orange juice and zest, some cranberries and sugar! It is so good when you just keep things simple! Wash the cranberries and remove any stems. Set aside 1 cup*. Add the rest of the bag (It should be about 2 and 1/2 cups) to a medium saucepan. 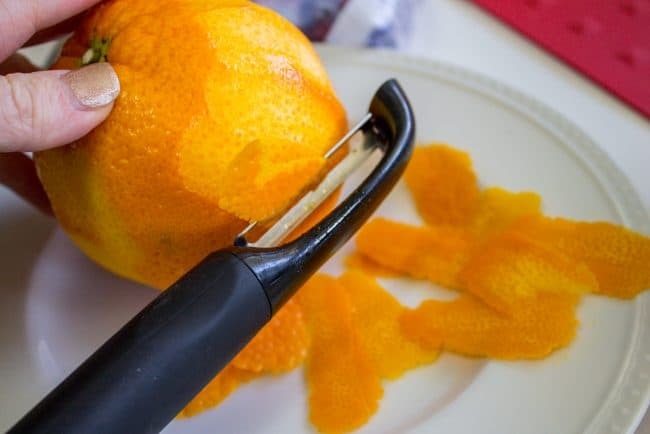 Use a peeler to peel large strips of orange zest from 1 orange. Don't press too hard, you only want to peel off the orange part (avoid the white pith). Add all of it to the saucepan. Add 1 and 1/4 cups sugar to the pan. Set over medium high heat and bring to a simmer. Lower the heat to medium and cook for about 10 minutes, until most of the cranberries have popped. Add the remaining 1 cup cranberries. Cook over medium heat for about 3 minutes, until the fresh cranberries have softened but not popped. Remove from heat. At this point you can remove the pieces of orange zest if you like. I like to leave them in for an extra punch of flavor! Serve immediately, or store covered in the fridge for up to 1 week. 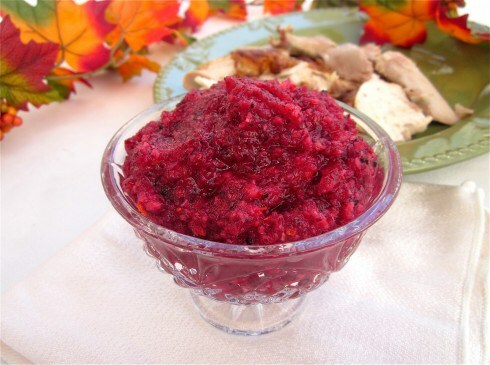 The cranberry sauce can be served warm or chilled. Re-warm in a pot on the stove over medium low heat. 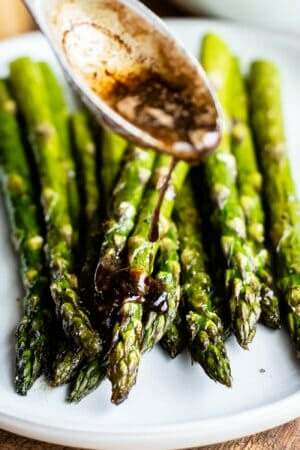 More Thanksgiving side dishes you will love! 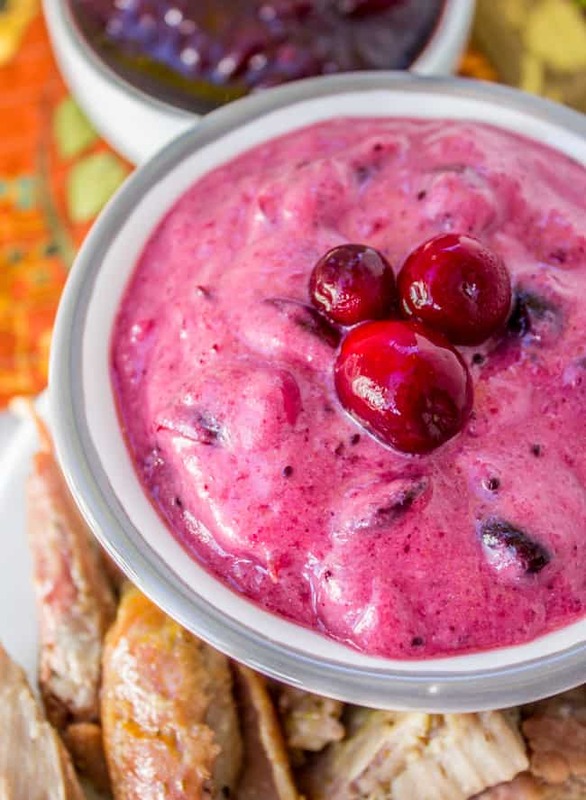 2-Ingredient Creamy Cranberry Sauce << this is the best sauce for Thanksgiving leftovers! Sea Foam Salad (Creamy Pear Jello) << my family has been making this at Thanksgiving and Christmas for as long as I can remember! More cranberry ideas from friends! 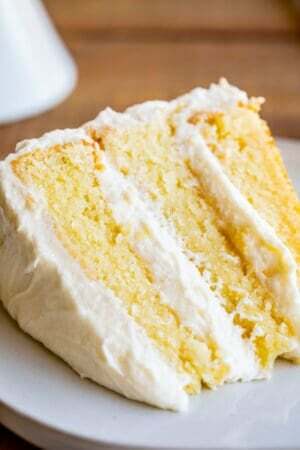 Karen, thank you for another recipe success! Not only was this cranberry sauce easy, it was perfect in it’s simplicity. 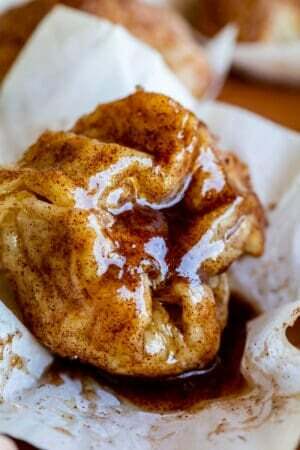 I doubled the recipe but cut the sugar by a 1/2 cup and it was the perfect blend of sweet and tart for my family’s tastebuds. The orange was delicious and I questioned the cinnamon but am glad I put it in. I’m looking forward to having this on Thanksgiving and on turkey sandwiches. Thank you!!! I just made this cranberry sauce again yesterday for Thanksgiving, and when I read your comment I realized I forgot to add in the cinnamon! Thanks for the reminder, I went and sprinkled some in, because it really just add just the right hint of flavor :) I’m so glad you liked it, and thank you so much for coming back to comment and review! I have one question. Why do we want some of the cranberries to pop and some not to pop? Most recipes I’ve seen want them all to pop. I’m just curious. Hey Cathy! I totally forgot to address that in the post, thanks for reminding me! I will go add it in. You can do it either way. I like the taste of slightly softened fresh cranberries when they are in a sauce that is sweet enough. 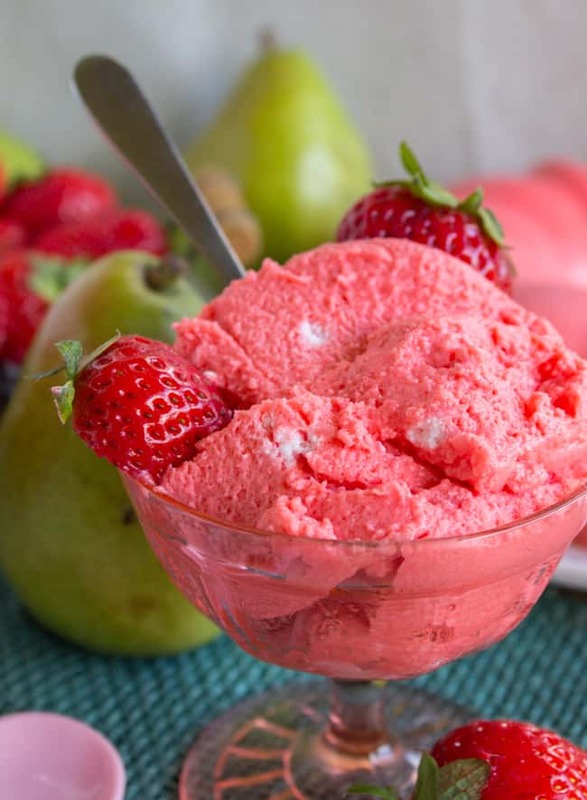 I like the “whole berry” texture. You can totally add all the cranberries in at the beginning and pop all of them. Either way will be great! 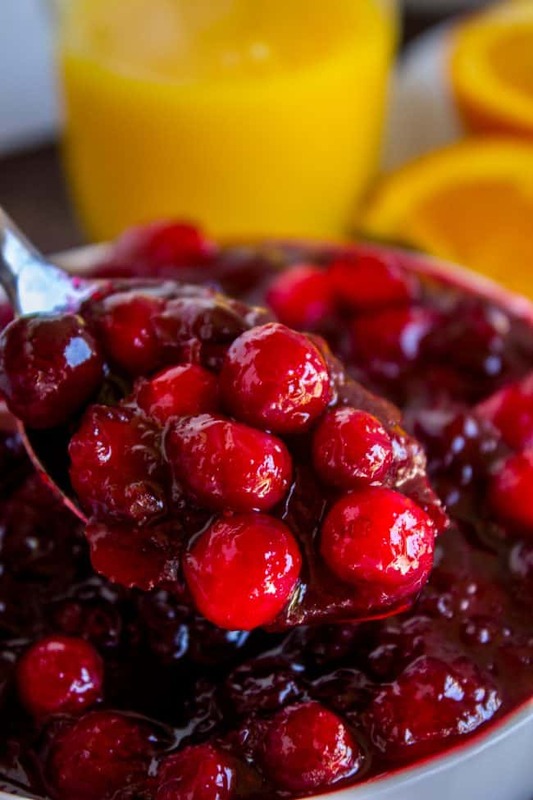 This cranberry sauce looks amazing! I love the idea of orange peel in the sauce! I’m going to put them in my cranberry sauce this year! Happy Thanksgiving to you and your family! 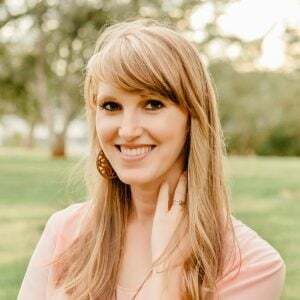 You will love it with the orange peel Collette! Let me know how it goes. Happy Thanksgiving to you too! !